The SvoeMesto Kayfun 5 (five) is a top class RTA. The choice of materials and the quality is first class. SvoeMesto has combined proven and new. 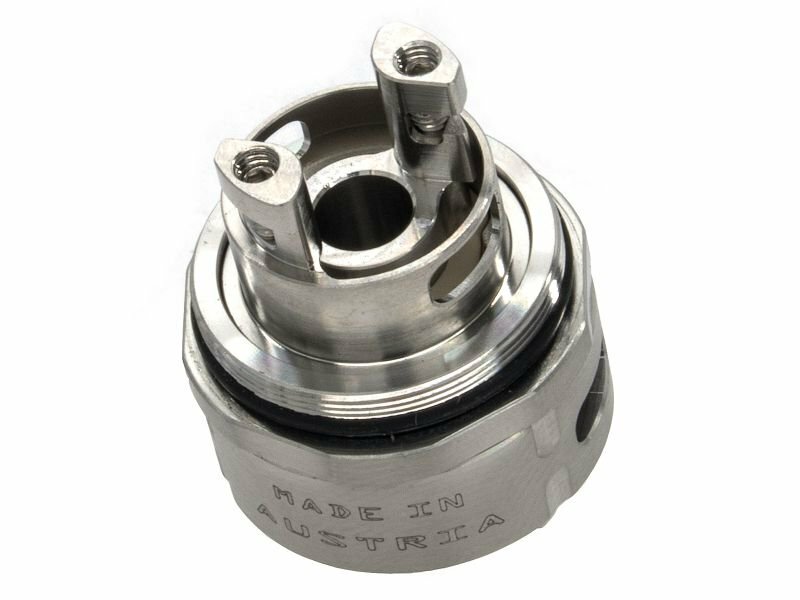 For example, the Airflow is now adjustable from the outside and even offers DL-Vapers enough air with a maximum diameter of 3.2mm. The deck has also been redesigned. Even beginners can achieve excellent results quickly and easily. The outstanding liquid control, the top fill and the usual good quality have remained the same.